Roland's last great synth to incorporate analogue technology, the Super JX10. In the first two parts of this history, I charted the rise of Roland from humble beginnings in 1972, through a financial crisis in 1981, and then showed how they survived the middle years of the 1980s by offering attractively priced analogue/digital hybrid synthesizers, as well as a diverse range of amplifiers, effects, guitar synths, and even computer plotters. This month, we'll see what happened when Roland jumped onto the digital bandwagon, and enjoyed what proved to be a golden age for the company. CS3 Compression Sustainer. DD3 digital delay. DR DRP I, DRP II, DRP III Dr Pad. DR220A and DR220E Dr Rhythm. DSD3 digital sampler/delay. FT2 dynamic filter. RCE10 digital chorus/ensemble (Microrack system). RDD20 digital delay (Microrack system). ROD10 overdrive/distortion (Microrack system). RPS10 digital pitch-shifter/delay (Microrack system). RSD10 digital sampler/delay (Microrack system). HP2000, HP3000, HP4500, HP5500, HP5600 domestic pianos. MKS20 digital piano module. RD1000, RD200, RD250S, RD300 stage pianos. CR1000 digital drummer. TR505 Rhythm Composer. MKS100 digital sampling module. S10 keyboard sampler. S50 keyboard sampler. MC500 Micro Composer. MRC APL sequencer for Apple II and IIe. MRE IPC sequencer for IBM PC. HS10 (Synth Plus 10). HS80 (Synth Plus 80). JX10 'Super JX'. MKS50 module. MKS70 Super JX module. PG300 programmer. In 1986, the world was gripped by FM fever and Roland lacked a flagship synth. The Jupiter 8 was gone, and the six-note polyphony of the JX8P looked dismal when compared to the 32-note capabilities of Yamaha's DX1 and DX5. There was only one thing to do. 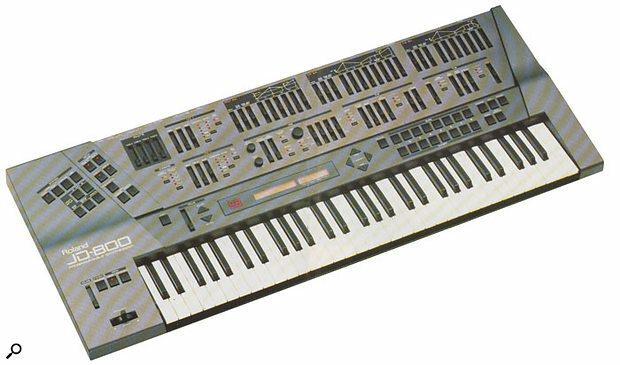 The industry had long embraced the 'two identical synths in a box' concept, so Roland competed against two DX7s in a six-octave keyboard by releasing two JX8Ps in a six-octave keyboard. The result was the inappropriately numbered Super JX10; possibly the holder of the 'Last Great Analogue Polysynth' award. The JX10 (shown above) was a superbly playable instrument that you could play in Whole (12-voice) mode, or Split mode (two six-voice synths), or as a layered six-voice synth. This was possible because the guts of a JX10 were truly two JX8P motherboards, plus a third board that controlled them and added a handful of additional synthesis facilities. Consequently, it offered huge pads, brasses, strings, lead sounds, and monstrous basses... in fact, everything a super-synth should. Indeed, when invoked on a Super JX10, the JX8P's Mono1 mode assigned all 24 oscillators, filters and what-have-you to a single note. Unfortunately, it was still overshadowed by Yamaha's DX synths, a point not lost on Roland's president, Ikutaro Kakehashi who, in his autobiographical book I Believe In Music, admits that he had to work hard to maintain the morale of his partners, which was in danger of being swept away on a tide of FM synthesis. The rack version of the JX10, the MKS70. Alongside the JX10, there was the MKS70, a Super JX10 in modular form, which offered all the facilities of the keyboard version, with one notable difference... it was capable of saving and loading patches over MIDI. Nevertheless, when all was said and done, this was simply repackaged JX8P technology. 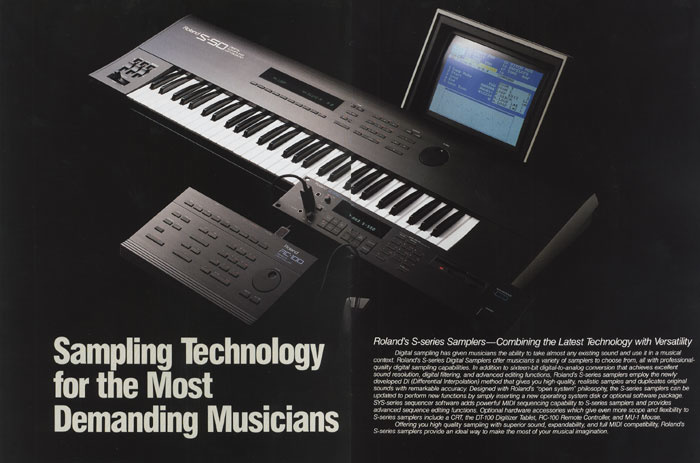 Likewise, 1986 was the year in which Roland released a range of repackaged Alpha Junos. These were the MKS50, an enhanced Alpha Juno 2 in a 1U rackmount module, and the HS10 and HS80, repackaged Juno 1s and Juno 2s with built-in amplifiers and speakers. Elsewhere, more products ploughed existing furrows, but Roland also doubled the size of the Boss Microrack range, and launched their first digital multi-effects unit, the DEP5. For guitarists, there was the GK1 pickup and GM70 guitar-to-MIDI converter, which — as well catering for Roland's own G-series controllers — removed the need for a dedicated guitar synth, and allowed players to control MIDI modules from their favourite guitars. All of this was good stuff, but none of it was going to take the world by storm. Fortunately, something far more significant was happening elsewhere: this was the year that the company went truly digital. However, Roland's first digital keyboards were not synthesizers; they were samplers and pianos. 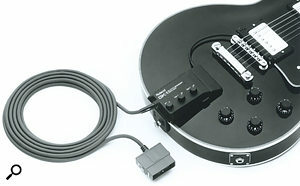 The GK1 pickup and GM70 converter unit combination freed MIDI-savvy guitarists from having to use Roland's guitar synths for the first time, allowing users to connect and trigger any MIDI module from their guitars. By the end of 1985, sampling had been around for six years. The affordable end of the market was dominated by the Ensoniq Mirage, while Kurzweil, Emu, and Fairlight ruled the high end. But there was a large hole in the middle and, in 1986, Roland plugged it with not one, but three 12-bit samplers: the S50, the S10, and a modular version of the S10, the MKS100. The S50 was the 'pro' instrument, and featured a number of innovations such as 96dB-per-octave anti-aliasing filters and the type of graphical operating system previously associated only with instruments that boasted external processing units, QWERTY keyboards and computer displays. It was also, perhaps, the first affordable keyboard that was upgradeable by the simple process of loading new OS software, and one of the first to offer a software sequencer (the SYS503) which was, apparently, the result of a home project by one of Roland's software engineers. As an instrument, the S50 was 16-voice polyphonic, multitimbral, velocity- and pressure-sensitive, and offered splits, layers, and velocity crossfading. What's more, as well as offering digital filters, amplifiers and envelopes that allowed you to manipulate samples at the point of replay, it provided a limited form of resynthesis that made it possible to manipulate the sample data itself. There was also a superb library supplied on 3.5-inch diskettes, and many of these sounds have remained in use to this day. The S50 should have been a winner, and the speed and elegance of its operating system should have ensured that it became the industry standard. Unfortunately, Roland had come to the market just a little too late. Akai launched their S900 rackmount sampler the same year, and although this was less slick, it established itself as the de facto standard. Consequently, the first question asked by many prospective S50 customers became, "is it Akai-compatible?" Since it was not, the S50 was doomed to be an also-ran. Given the power of the S50, the existence of the S10 is a mystery. It was not only more limited than its big brother — which, given their respective price-points, is hardly surprising — but it felt as if it had been designed and programmed by a different company. It also sported non-standard 2.8-inch 'Quick Discs', a horrible experiment in low-cost drives that were excruciatingly slow and of much more limited storage capacity. Unlike the S50, the S10 and the MKS100 deserve their ignominy. Roland's S-series samplers innovatively offered monitor output options, so you could attach a monitor and a mouse to make editing and keygrouping easier. Elsewhere, the company had used their mastery of sampling and digital technology to develop a resynthesis system that they called SAS — or Structured/Adaptive Synthesis (see the box below) This was not a simple sample-playback system. Instead, Roland's engineers had sampled and analysed the timbre of various instruments — but primarily acoustic pianos — at many pitches and loudnesses, and designed an algorithm that resynthesized the necessary harmonics and noises each time you played a note. For the first time, SAS made it possible to synthesize a grand piano with remarkable accuracy, and it provided the engine for a huge range of electronic pianos. Indeed, some acoustic piano manufacturers felt so threatened by Roland's flagship HP5500 and HP5600 that they complained when the company used the word 'piano' to describe them, fearing that it would confuse prospective purchasers (this paralleled a similar response to Laurens Hammond's use of the word 'organ', and the US Federal Trade Commission's assertion in 1937 that the Model 'A' and 'AB' should be classified as 'electrotones', because they did not have pipes!). Kakehashi responded by adding the word 'digital' to every Roland Digital Piano, sold thousands of them, and everybody was happy... especially the customers. Sturdy, quick to use and reliable, the MC500 was the hardware sequencer of choice for many mid-to-late-'80s keyboard players. Another milestone was reached with the launch of the MC500 Micro Composer. The follow-up to the MSQ700, this five-track MIDI sequencer offered a far larger memory and greatly enhanced editing capabilities. 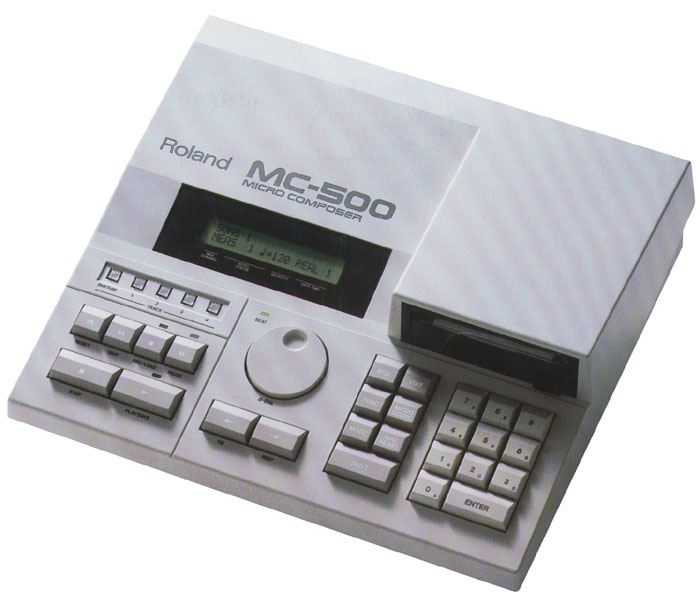 Initially marketed alongside the HP5500 and MKS7 as part of the Roland MPU Music System, it spawned a series of stand-alone products, and its derivatives would later provide the sequencing power for Roland's keyboard workstations. On the corporate front, Kakehashi was again active, adding Roland Italy S.p.A. and the Roland Taiwan Electronic Music Corporation to his growing list of joint ventures. The second of these is today an important ingredient in Roland's worldwide manufacturing capability. When the SAS system appeared, it was a revelation. With more than 30 keyboard 'zones' differentiated not just by pitch and brightness, but also by individual formant structures and string enharmonicities, it was far superior to any straightforward sample-replay system. For the first time, you could recreate acoustic and electronic pianos on a range of stage instruments, and — most realistically of all — on the range of domestically styled Roland Digital Pianos. The RD1000 was a big breakthrough in the acceptance of digital piano technology. Even Elton John used one live on stage. Of these, the most celebrated was the RD1000 stage piano. Famously adopted by Elton John, this featured a superb 88-note weighted, wooden keyboard housed in a stylish case, accompanied by a stylish pedal unit, and supported by an even more stylish chrome and black stand (the KS11), all of which looked and sounded as good as anything since. It offered just eight voices, but you could tweak these with a three-band EQ, and add chorus and tremolo, storing the results in a further 56 memories, or to 64 memories in an M16C cartridge. The polyphony was stingy by today's standards — just 16 voices for the acoustic pianos, and 12 for the electric-piano emulations — but par for the course in 1986. The same SAS system was available in a MIDI module, the MKS20, which quickly became a standard, but most interesting, perhaps, were the remarkable HP-series domestic pianos, which offered the same sounds without the editing and memories. Instead, they came with dedicated speaker systems built into heavy wooden cases that emulated the resonances and rattles of... umm, heavy wooden cases. 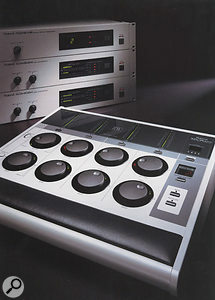 Roland discontinued the original SAS sound generator in 1990, replacing it with 'Advanced SA Synthesis', and then replacing it again in 1996 with a 64-voice stereo implementation. Coupled to improved acoustic design for the domestic/concert pianos and, more recently, a genuine hammer action, these developments have kept Roland at the forefront of the digital piano market for nearly two decades. Roland described the D50's 'Linear Arithmetic Synthesis' engine as 'A new universe of sound beyond the limits of conventional synthesis'. For once, the hyperbole was justified. The D50 and D550 produced sounds that nobody had heard before. The first half of the secret was the invention of the technique now known as 'sample and synthesis', or S&S. Roland's engineers had discovered that much of the information that we use to identify and categorise a sound is contained in its first few hundred milliseconds. They reasoned, therefore, that synthesized sounds would be more realistic if they had snippets of the attack portions of 'real' instruments before the conventional synthesis waveforms. So the D50 contained a ROM that held 100 PCM samples. Although these were very short by today's standards, they enabled the D50 to produce imitative sounds that were far snappier, interesting and convincing than those from any previous synthesizer. Furthermore, LA synthesis provided two simultaneous tone generators — each comprising a PCM snippet and what was probably the first 'virtual-analogue' synth architecture — and you could combine each pair of these in any of seven Structures that determined how they interacted and were mixed. The second thing that made the D50 unique was the inclusion of a digital chorus and delay/reverb unit. With 32 different types of delay and reverb effects, the D50 was the first synth that sounded lush and 'produced' without the need for expensive external effects. Many of the D50's factory sounds became overnight standards, almost immediately appearing on every CD and in every lift around the world. 'Fantasia' was everywhere, and has appeared on almost every Roland synth since. Likewise, 'DigitalNativeDance', 'Soundtrack', 'OK Chorale', 'Nightmare', 'Glass Voices' and 'Intruder FX' became staples of the modern sonic palette. But none of the ensuing copies has ever sounded quite like the original. The D50 had a unique character, never since emulated — even by Roland. DAC 15D and DAC 15XD guitar amps. M160 16-channel rackmount mixer. M240 24-channel mixer. BF2B bass flanger. CE2B bass chorus. DS2 Turbo Distortion. FV50H volume pedal. FV50L volume pedal. GE7B bass EQ. LM2 limiter. MZ2 Digital Metaliser. NS2 noise suppressor. PS2 digital pitch-shifter/delay. RPD10 digital panning delay. RRV10 digital reverb. RV2 digital reverb. DEP3 reverb/delay. FC100 foot controller. GP8 guitar effects processor. SDE3000A digital delay. MDS1 stand for PD pads. PD11 bass-drum pad. PD21 snare/tom pad. PD31 snare/tom pad. PM16 pad-to-MIDI interface. TR626 Rhythm Composer. S220 sampling module. S550 sampling module. PR100 sequencer. SYS503 Director 'S' software sequencer for the S50 sampler. A110 MIDI display. D50 synthesizer. D550 synth module. EV5 expression pedal. MPD4 MIDI pad. MT32 expander module. PG1000 programmer for D50 and D550. VP70 Voice Processor. If 1986 had been a landmark year, it also marked the passing of Roland's analogue era. The Jupiter range had been discontinued in 1985 and, while the company's analogue/digital hybrid synths continued to sell well, 1986 was — in terms of product launches — the swansong for these, too. Digital sampling and synthesis was the way forward, and Kakehashi knew it. So 1987 was to be the one in which Roland's developments in digital technology really bore fruit. The company continued to expand their existing digital product lines, with SAS pianos, and two further sample modules; the S550, plus an improved version of the MKS100, the MKS220. But these were as nothing compared to the impact of a new Roland synth. In retrospect, 1987 was about one thing, around which all else paled, not just for Roland, but for all keyboard manufacturers and players. It was the year in which Roland redefined the concept of the synthesizer. It was the year of the D50. For a year before the release of the Korg M1, Roland ruled the synth roost with the D50 workstation (seen here with its optional PG1000 programmer), which became the must-have keyboard successor to Yamaha's DX7. To dispense with the mundane, the D50 offered what had become Roland's standard keyboard fare: velocity and aftertouch sensitivity, with splits and layers. It was also expandable, with options for ROM and RAM cards, a good MIDI implementation, a programmer, and eventually third-party expansion boards that extended its range of sounds and facilities. But there was another reason why the D50 was a sensation, toppling the DX7 from the throne it had occupied for four years. It sounded fantastic. For more reasons why, see the box on the next page on LA synthesis. The enormous popularity of the D50 caused a whole support industry to spring up, and soon there were voice cards, libraries, and powerful editors available for it. For many owners, it was unnecessary to learn how to program the instrument — they simply plugged in their favourite sounds and played. 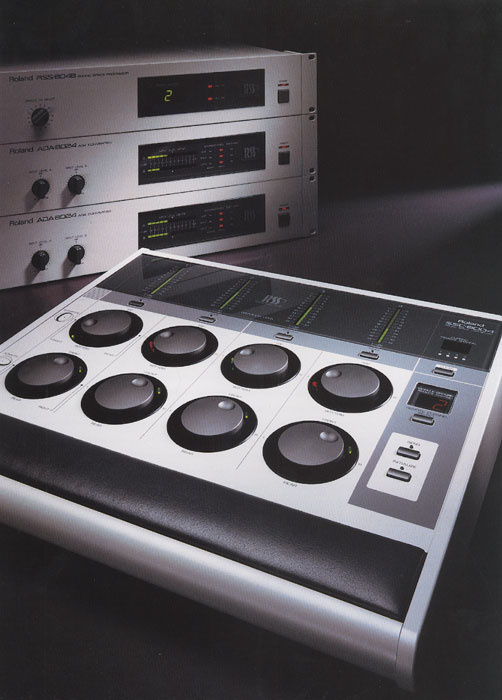 However, for those with the courage to dabble, Roland offered an analogue-style control surface, the PG1000. With this attached, the D50 avoided the trap into which Yamaha's occasionally impenetrable FM programming system had fallen. LA Synthesis, the technology that powered the D50, not only sounded amazing — it made digital synthesis accessible again. Roland capitalised upon the success and growing reputation of LA Synthesis and, later in the year, the MT32 appeared. Designed for home use alongside an electric piano or MIDI home keyboard, this used a much more limited form of LA synthesis, and its sound was in no way comparable to the 'real thing'. Unfortunately, Roland were rather naughty with the MT32 and its successors, advertising them in an ambiguous way that implied that they contained the D50's synthesis engine. I think that this was a significant mistake, and it may have backfired badly. If you had heard an MT32 in 1987 and thought that this was the sound of Roland's flagship synth, you would have wondered what all the fuss was about. A contemporary brochure showing Roland's first foray into complete electronic drum pad systems. 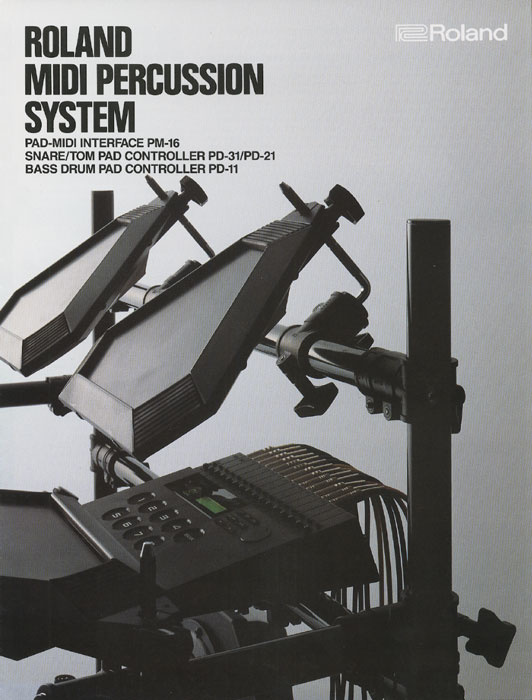 Had it not been for the D50, we might now remember 1987 as the year in which Roland introduced their first MIDI percussion system. You constructed your kit using a combination of PD21 or PD31 snare/tom pads (the latter of which offered four outputs — the main pad and three edges for rimshots and so on) and PD11 bass drum pads, all mounted on the MDS1 drum frame. The heart of the system was the PM16 Pad/MIDI interface, which offered 16 inputs catering for both the pads and acoustic triggering. Hooked up to one of Roland's samplers, or the DDR30, or one of the MIDI-equipped Rhythm Composers, the results could be surprisingly good, although it was to be another five years before Roland made electronic kits completely self-contained, and good enough to fool listeners into thinking that they were listening to a 'real' kit. This was also the year in which Roland established the Roland Tech Corporation, a largely unseen company that designs and builds the cabinetry for the more expensive Roland products, and which develops the finishes for them. It was also the year in which Roland bought the Rhodes trademark (see the box later). The optional DDR30 module was one of the possible sources of drum samples for the trigger pads. Fender Rhodes and Rhodes instruments had dominated the market for electric pianos for more than 20 years, first under the ownership of CBS, and more recently under the personal ownership of the head of CBS, William Schultz. However, the heyday of the electro-mechanical piano had passed, hastened in no small measure by Roland's SAS technology. So Kakehashi purchased the Rhodes name from Schultz, no doubt with the intention of combining Roland's piano technology with one of the most famous trademarks in the music industry. On paper, it must have been a great plan. Two years later, it would seem less so. Not content with his acquisition of Rhodes, 1987 also saw Kakehashi buy a majority shareholding in the Italian company SIEL (see the box below). One of a group of keyboard companies established on the Adriatic coast of Italy, SIEL had built ensemble keyboards for ARP and Sequential, selling them under their own name as the Orchestra (1980) and Orchestra 2 (1982). They also manufactured two analogue synths, the Cruise and Mono (1981) and three ghastly electronic pianos, the Quattro and PX (1983), and the PX Jr (1984). The company's polysynths were also less than rapturously received. The Opera 6 (1983) might have been a success, but numerous versions — some with VCOs, some with DCOs — confused everybody. Following that, the DK series (1984-1987) eventually numbered four keyboard synths and three expanders, which were universally unsuccessful, no doubt because companies like Roland did the same thing better. Another important development was the creation of Roland ISM. This was an abbreviation of 'Roland's Intelligent System of Music', a method for teaching music, keyboard and arrangement skills using electronic instruments. Originally based on the HP5500, the MT32 and the PR100 sequencer, ISM used software that ranged from providing classical exercises for Beethoven and Grieg concertos to backing tracks for rock & roll, jazz and funk improvisation. ISM developed rapidly. By 1989, there was ISM software for grades I to V of the Associated Board Grade Examinations, a significant exercise and ensemble library, and a Teaching Laboratory System that allowed a teacher equipped with a Roland TL16 system console to monitor up to 16 pupils playing the dedicated TP20 electric piano. Today, ISM is used extensively in Japan, but is perhaps less well known in Europe and North America. Why Kakehashi bought SIEL is not clear. Whatever the reason, 1987 saw production of all SIEL products cease, and its name slipped quietly into oblivion. The following year, the company was re-established as Roland Europe SpA, and in June 1996, following an Italian government scheme that offered preferential tax treatment for publicly traded companies, it became a listed company on the Milan stock exchange. Nowadays, Roland Europe operates from five plants and employs more than 250 staff. It is the centre of the Roland Group's European research, development and production, designing and building products such as digital pianos, organs, MIDI controllers, sound modules and amplifiers. But it is best known for the E-, G- and VA-series Arranger keyboards that would start to appear the year after acquisition. Together with the HP-series digital pianos, the KR-series 'Intelligent Pianos', and the C-series harpsichords, these would form the backbone of Roland's Contemporary Keyboards division, which was destined to become one of the most important elements within the Roland empire. Born in 1910, Harold Rhodes was just 20 when he found himself running a chain of piano schools across the USA. A little over a decade later, he was asked to provide music therapy for wounded soldiers, and designed a small piano using cut-down aluminium pipes as the sound sources. It was a big success, and many thousands of Rhodes pianos were manufactured during the latter stages of World War II. 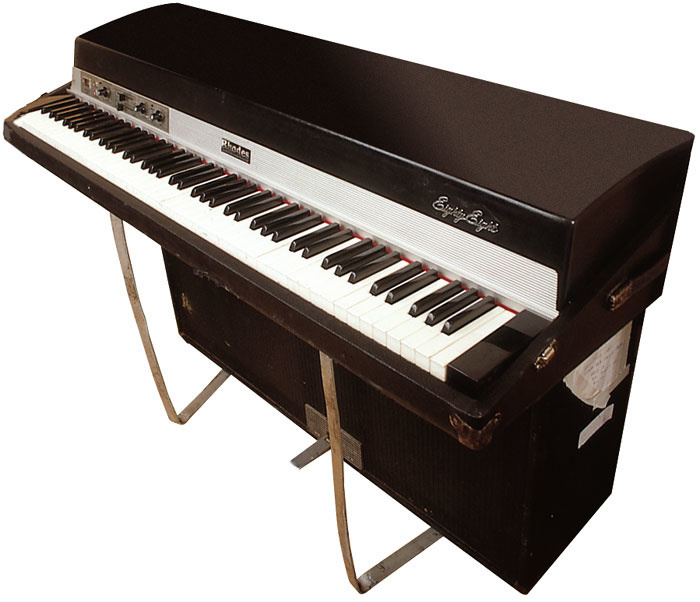 Sounds of the '70s — the Fender Rhodes electric piano. This is a MkII Suitcase model owned by Cian Ciárán of Super Furry Animals, photographed in 2001. Following the war, Rhodes established the Rhodes Piano Corporation, and launched a strung, 3.5-octave instrument named the 'Pre-Piano'. However, this proved to be unreliable, so, in 1949, he invented a piano that used a form of tuning fork as its sound source. He built a 72-note instrument and demonstrated this widely, attracting the attention of Leo Fender, who was so impressed that he bought into the company. Unfortunately, Fender was not impressed enough to build the full-range pianos that Rhodes was developing so, from 1959 to 1964, the Piano Bass was the only Fender Rhodes manufactured. News of Rhodes' continuing experiments reached CBS who, after visiting his workshop, offered to buy Fender's stake in the company for 13 million dollars... a huge sum in the mid-1960s. Fender agreed and, in 1965, Rhodes began manufacturing the Fender Rhodes Electric Piano, which would remain in production for 16 years. Other models, such as the Fender Rhodes Celeste and the Student Piano would come and go, but the Suitcase 73 and Stage 73, and their younger siblings the Suitcase 88 and Stage 88 soon became standard equipment for almost every serious jazz and rock keyboard player in the world. Numerous technical upgrades followed, with improvements to the hammer tips and tone bars, and new electronics, amplifiers and speaker systems. In 1974, the name 'Fender' was removed, although there were no physical modifications associated with this other than the change of the nameplates. In 1979, Mark II versions were launched, and these are easily recognised by the flat tops that let you place other keyboards on top of the piano. Then, in 1980, two new models appeared: the Rhodes 54, and the Rhodes Mk III (also called the EK10), which was a curious hybrid of a Rhodes piano and a primitive synthesizer. The following year, CBS bought the bankrupt synth manufacturer ARP, placed the final ARP design into production, and marketed it as the 'Rhodes Chroma'. Nothing to do with Rhodes, the Chroma was hopelessly unreliable and was a huge flop. In 1983, William Schultz, the head of CBS, bought Rhodes and, in 1984, the new company released its only product, the Rhodes Stage 73 Mark V, of which three were even equipped with MIDI. Then, in 1987, Roland bought the company, eventually producing the Rhodes MK80, MK60, Model 760, Model 660, and VK1000. Good though these were, Harold Rhodes did not like digital instruments, and entered negotiations with Roland to buy his name back. He did so in 1997, and founded the Rhodes Music Corporation. Unfortunately, no new instruments appeared, and Rhodes himself died from pneumonia in 2000. The VK1000 was perhaps the most impressive Hammond-wannabe released while Rhodes was owned by Roland, with real drawbars. It did nothing to impress Harold Rhodes, however, and the companies eventually parted. DA800 & DA1500 speaker systems. DAC10, DAC50D, DAC50XD guitar amps. M16E 16-channel rackmount mixer. M24E 24-channel mixer. MA12V micro monitor. MS30BK, MS30WH micro monitor. BE5 multi-effects. BX40, BX60, BX80. BX8 & BX16. DC3 Digital Space D. EV10 expression pedal. ME5 guitar multi-effects. TM3 training monitor/line driver. TU12P chromatic tuner. E660 digital parametric EQ. R880 digital reverb. GC8 remote controller for R880. RE3 Digital Space Echo. E10 and E20 'Intelligent' synths. CD5 CD-ROM player for S550. HD5 HDD for S550. RC100 remote controller. S330 sampler. S550 sampler. SYS333 Director 'S' sequencer for S330. SYS553 Director 'S' sequencer for S550. MC300 Micro Composer. MC500 MkII Micro Composer. MT100 sequencer and sound module. A880 MIDI patcher/mixer. D10 LA synth. D20 LA synth. D110 MIDI sound module. PG10 programmer for D10, D20, D110. U110 RS PCM sound module. TL16 mixer. TM3 training monitor/line driver. TP20 Teaching Lab electronic piano. The start of 1988 must have been a happy time for everybody associated with Roland because, for perhaps the first time, they could claim to be truly at the top of their industry. Many famous competitors had ceased trading during the 1980s, and more were on the verge of doing so. Furthermore, the sheen had faded on Yamaha's FM product lines, and the world was embracing hi-tech musical products as never before. There was a boom in progress, and Roland were at the very heart of it. Yet, far from sit back and admire their achievements, Roland embarked upon the most fecund year in their history, in terms of corporate development as well as product launches. Sample-based synthesis technology permitted the development of a new wave of intelligent arranger/auto-accompaniment keyboards in the late 1980s. 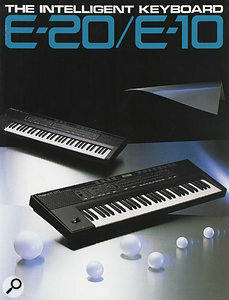 Roland were far from the only players in this market, but the E10 and E20 were two of the first. Having acquired Rhodes and SIEL in 1987, and having opened yet another joint venture (this time in Switzerland) in 1988, Kakehashi fulfilled a dream... to be involved with the design and manufacture of classical organs. He did so by buying Rodgers Organs, one of the world's most respected manufacturers of electronic, pipe and hybrid electric/pipe organs (see the box above). This fitted his long-term strategy very well. As well as expanding the number of niches that Roland occupied, this move provided established expertise in an area not previously addressed by Roland, and increased manufacturing capability in the company's largest market. Furthermore, there seems to have been a genuine synergy between the two companies, and this was to make it remarkably straightforward for the two to work together successfully. What's more, at least one of Kakehashi's existing purchases was already paying off. The E10 and E20 'Intelligent Synthesizers', designed by Roland Europe, would change our perception of auto-accompaniment instruments forever. Shown for the first time at the 1988 British Music Fair, and powered by the MT32's cut-down LA synthesis engine, they offered numerous rhythm arrangements, variations, user choices of 'simple' or 'complex', fills, chord recognition, and two-track sequencing. Professional keyboard players and hi-tech users tend to look down on home keyboards, but reviewers were impressed, and we should recognise that, with the launch of the 'E' series, Roland had yet again redefined a market, raising expectations of what new technology might make possible. The same synthesis architecture lay at the heart of the D10 and D20 synths, and their rackmount equivalent, the D110. Again, these employed the limited LA synthesis pioneered by the MT32 so, in comparison to the D50, they sounded uniformly uninspiring. Nevertheless, they and their dedicated programmer, the PG10 (which also programmed the E10 and E20) were hugely popular. Unfortunately, the lacklustre sounds of the D20 have allowed its significance to be overshadowed. Launched the same year as Korg's M1, it incorporated a multitimbral sound source, a multitrack sequencer (eight tracks, plus a dedicated rhythm track), a slot for memory cards, a digital effects unit, and a 3.5-inch disk drive. So, although the Korg was the superior instrument, it's unfair to say that the M1 alone defined the shape and form of the affordable workstation. The D20 shares this accolade, and it's time that credit was given where it is due. The D20 was overshadowed by Korg's M1, released the same year, but spec-wise it was just as capable a workstation synth. It was probably the M1's superior presets that carried the day. Alongside their LA synths, Roland took a sideways step that took everybody else by surprise; they released two digital harpsichords which, in addition to a wide range of authentic harpsichord sounds, produced the tones of a lute, strings, and two pipe organs, all programmed to suit the baroque music at which the instruments were aimed. The difference between the C20 and C50 was in the number of legs (the C20 had one more) and the number of speakers (the C50 had one more, with five speakers driven by four separate amplifiers). 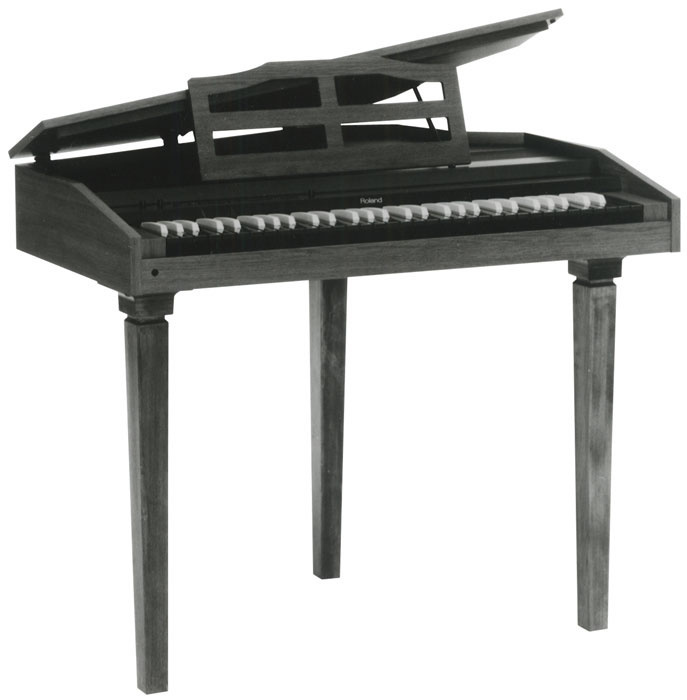 Designed to look and feel as authentic as possible, both models offered a selection of medieval and baroque temperaments that allowed players to perform early music with the correct tuning, and also added coupling, bi-timbrality (you could mix the harpsichord or lute with either the strings or one of the organs) and a modern digital reverb. Beautiful to play, these instruments were only ever going to appeal to a limited market, but their quality meant that some very highbrow music institutions eventually accepted them. The C20 and C50 digital harpsichords (of which the C50 is pictured, right) are some of the most obscure curios in Roland's 1980s catalogue, aimed at early-music enthusiasts. As for pianos, the big news came in a small package, the P330. This underrated module incorporated an SAS engine that was almost identical to that of the MKS20, but added functions such as Attack Mute (to soften the sound for accompaniment duties) and Release Time, as well as Sostenuto, Half-Damping, and MIDI overflow, which allowed you to stack eight P330s to obtain 128-note polyphony. Equally underrated was the S330 rackmount sampler. If the S50 can be said to have had a rackmount equivalent, it was this 1U rackmount, with the same strengths as the earlier keyboard, plus a few 'extras'. Again overshadowed by Akai's samplers, the S330 set a new price/performance standard, but was never accorded the recognition it deserved. Instead, it was the additions for the previous year's S550 that caught the imagination of Roland's customers. With its associated HD5 hard disk system, the optional SYS553 sequencing software, a mouse, a colour monitor, a DT100 digitising tablet and the RC100 remote control surface, the S550 had matured into a truly professional sampler. Yet, despite everything else that happened in 1988, the most significant development was contained in another unassuming rackmount unit. Far from impressive, this little synth lacked all but the most basic sound-shaping facilities, didn't have any filters, and was too hissy for serious use. Roland didn't even release it in its initial form, as the T110 (shown overleaf), but as the U110, it proved to be the ancestor of all Roland's PCM-based synths, including the 'U', 'JV', 'XP' and 'XV' series, and you can't get much more significant than that (for a full explanation of the family tree, see the box below). Another product worthy of note, but which was never sold outside Japan, was 'Musi-kun', a desktop music system comprising a PC, software, small powered monitors and an MT32 sound source. Long before such combinations became the norm, Roland yet again demonstrated their ability to anticipate the future of hi-tech music-making. Finally, in 1988, special mention must also be made of the DSP2000, which was perhaps Roland's only foray into the world of high-end domestic hi-fi. This was a surround system that took a conventional stereo signal and created a 3D image by delaying part of the signal and presenting this to a second amplifier driving a pair of rear speakers. A common concept in today's 5.1 surround world, this type of processing was not greeted warmly in 1988, and the DSP2000 wasn't imported or sold in significant quantities in the UK. For once, Roland had proved to be just a little too far ahead of the times. Although nobody was aware of it at the time, Rodgers Organs was conceived in 1952 when Tektronix, a huge electronics manufacturer, decided to design oscillators for unspecified new products such as electronic organs. It took four years for a team including Rodgers Jenkins to design the circuitry but, in 1957, he and fellow engineer Fred Tinker presented a business plan for manufacturing transistorised church organs. Strangely, having funded the research, Tektronix rejected the plan. The reasons were good ones... the company was fully stretched, and the directors realised that they knew nothing about the church organ business, so in 1958 they funded the establishment of the Rodgers Organ Company, placing Rodgers and Tinker in charge. By 1959, the new company was up and running, and numerous innovations followed. In 1961, Rodgers introduced a single-contact keying system that simplified the multiple buss systems used by Hammond and others and, the following year, the company introduced the world's first all-transistor organ and amplifier combination. Commercial success followed and, in 1964, the company bought retail premises in San Francisco to set up the first Rodgers Organ store. Soon after, they introduced a three-manual theatre organ, the Trio and, in 1966, they became the first manufacturer to use logic technology within organs. In 1968, Kakehashi visited the company's headquarters in Oregon to try to sell them the FR1 Rhythm Ace technology for their theatre organs, but without success. In 1970, Rodgers left his company, but this seemed to have no adverse effects... The following year they concluded an agreement with an Italian pipe organ builder, and became the first electronic organ manufacturer to represent and sell pipe organs in the USA. The company then turned their attention to pipe organs in general, designing improved stopping systems and hybrid pipe/electronic organs for chapels and small churches. By 1975, the company had attracted the attention of CBS which, in 1977, purchased Rodgers to create a music group that included Fender, Rhodes, Steinway, Gulbransen and Leslie. A rapid period of research and development followed, culminating in 1980 with the world's first microprocessor-controlled organ and, in 1982, the company's first all-pipe organ. In 1985, CBS decided to sell off its musical instrument companies, and Rodgers became part of Steinway Musical Properties. Nonetheless, the company continued to progress, and the following year became the first to introduce MIDI on church organs. But, just three years later, Roland purchased Rodgers, re-establishing it as the Rodgers Instrument Corporation, and upgrading its extensive manufacturing capabilities to build Roland digital pianos and keyboards as well as Rodgers Organs. The U110 (or, rather, its unreleased prototype, the T110) is the ancestor of almost all Roland's synths and workstations from 1991 onwards. This makes it one of the most significant synths ever released. Nonetheless, the launch of the U110, which utilised what Roland called Resynthesised Pulse Code Modulation Synthesis (or RS PCM) was decidedly low-key, and the product was positioned well to the back of the company's catalogues. Perhaps this is not surprising. 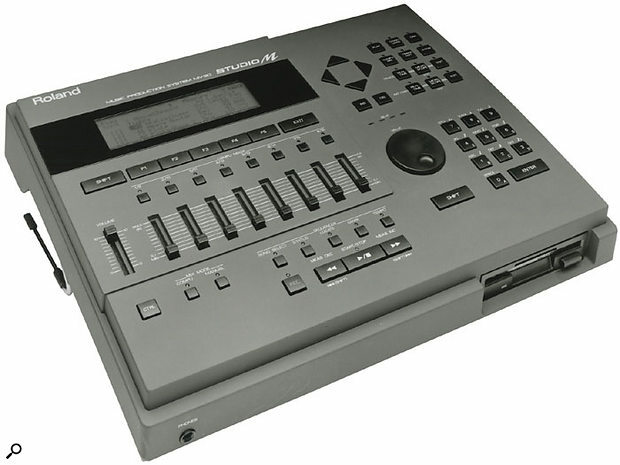 Sample-replay machines (which, of course, were to form the backbone of all synthesis throughout the 1990s) were not really viewed as kosher synthesizers, so Roland positioned the U110 as a low-cost, low-kudos MIDI rackmount for (and I quote from Roland's publicity of the day) 'musicians who prefer to use available sound libraries rather than create their own samples'. The T110 (above) was the progenitor of all of the hugely successful sample-based synth modules Roland released in the '90s. However, the T110 was never itself released — the closest Roland came was the similar U110. Yet the U110 was a capable sound source. With 99 onboard samples, four PCM card slots (and — after a while — a moderately extensive library of cards to fill them), it could provide the backbone of many musicians' requirements. It responded to velocity and aftertouch, and was six-part multitimbral with individual outputs for each part. It even provided stereo chorus and reverb, allocating two outputs as a stereo pair to take advantage of these. The problem with the U110 was that its digital-to-analogue converters were rather noisy. This was cured in 1989 with the release of the U220, which sounded much more 'high-end'. Sure, it lost a couple of its predecessor's slots, but gained a larger ROM, and offered a better editing system. Then there was the U20, possibly the first affordable keyboard that you could take on stage to produce convincing piano, organ, strings, brass, drums... as well as many other pads, effects, leads, basses and other important sounds. Leaping from the back pages to the front of Roland's catalogues, the U20 was a winner. These were the only three 'U'-series instruments, although it was apparently only a marketing decision that stopped the D70 from being launched as the U70. But if the 'U's had a brief life, the same cannot be said of their descendents. When, in 1992, Roland added a filter to the U20's RS PCM sound generator, it became the heart of the MV30 Music Production System, and then metamorphosed into the JD800 keyboard synthesizer. Later, the JV80 synth appeared, and the U220 was replaced by the JV880. And, as history shows, the JV series and its successors, the XP and XV series, were to become some of the most successful and widely used synths ever produced. CPM120 II compact powered mixer. DAC80D guitar amp. M120 mixer. MG80 guitar amp. PA400 & PA200 powered mixers. BE5B bass multi-effects. CH1 Super Chorus. GE131 graphic EQ. GL100 guitar driver. MG10 mini guitar amp. WS100 diversity wireless system. GP16 guitar effects processor. GS6 guitar sound system. GK2 guitar synth pickup. GR50 guitar synth. Pro E 'Intelligent' arranger. RA50 real-time arranger. HP2500S. Rhodes MK60. Rhodes MK80. PAD5 MIDI pad controller. R5 Human Rhythm Composer. R8 Human Rhythm Composer. A50 keyboard controller. A80 keyboard controller. CA30 'Intelligent' arranger. CF10 digital fader. CM32L LA sound module. CM32P PCM sound module. CM64 LA/PCM sound module. CN20 Music Entry Pad. D5 LA synth. FC100 MkII & RMC1 foot controller/RRC-to-MIDI converter. LAPC1 LA soundcard. MCB1 MIDI box for LAPC1. MPU IMC MIDI Interface. RC3 MIDI program changer. U20 RS PCM keyboard. U220 RS PCM module. By the time 1989 rolled around, Roland were enjoying a golden age. However, despite their great breadth of products, the company's position as market leader was not secure, if only because the Korg M1 had now replaced the D50 as the synthesizer with the biggest 'Wow' factor. So Roland responded, but in a way that caught the entire industry by surprise. Rather than release an improved synth workstation to replace the D20, the company released a sampler-based workstation, the W30. The W30 was a fine early sampling workstation — but there were no built-in effects! Still, this didn't stop the likes of Liam Howlett of the Prodigy composing most of his first three albums on it. At the heart of the W30 lay a sampler similar to, and fully compatible with, the S550. This meant that it could take full advantage of the S-series sample libraries and, with a SCSI upgrade, it was also able to handle hard disk drives and CD-ROM drives. To complement this, an internal ROM included many of Roland's most popular samples, and you could edit and use these just as on any other PCM-based synth. The fully-spec'ed 16-track sequencer was compatible with Super MRC and Director-S formats, so in many ways the W30 was a combination of an S550, an MC500 and a simple PCM-based synthesizer. But where were the high-quality digital effects? Oh, heck... there weren't any! If Roland had hoped that the W30 would capture the workstation market, they seriously miscalculated. Above all else, the popularity of the D50 and the M1 was a consequence of the 'finished' quality of the sounds, and the W30, so capable in other areas, was unable to provide this. As a result, it only achieved a fraction of its potential, which was a terrible shame. More successful, perhaps, were the new R8 Rhythm Composer and its little brother the R5. These included far more sounds than any previous Roland drum machine, and catered for conventional kits, Latin percussion, and electronic kits. But it was the quality and expressiveness of their sounds that made them special, and overnight they made all previous drum machines sound artificial and unrealistic. The R-series also introduced the concept of 'human feel', a timbral randomising parameter that added an additional touch of realism to programmed patterns. 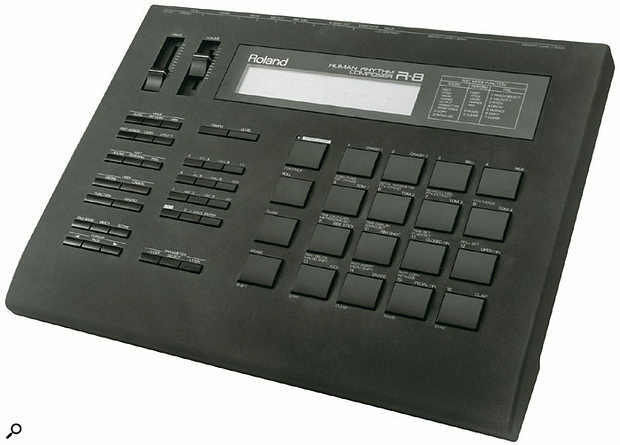 With its repitchable drum samples and an decent-sized LCD (which made making rhythm programming using the established Roland pattern-based method even easier), the R8 and its smaller brother the R5 remain two of Roland's finest ever dedicated drum machines. Elsewhere, the MKB1000 and MKB300 were now showing their age, so Roland replaced them with the A80 and A50 master keyboards. These shared powerful MIDI controller capabilities including multiple zones, polyphonic aftertouch, four assignable control sliders, and inputs for four assignable controller pedals. They differed only in the keyboards provided: a wooden 88-note unit in the A80, and a semi-weighted 76-note affair in the A50. 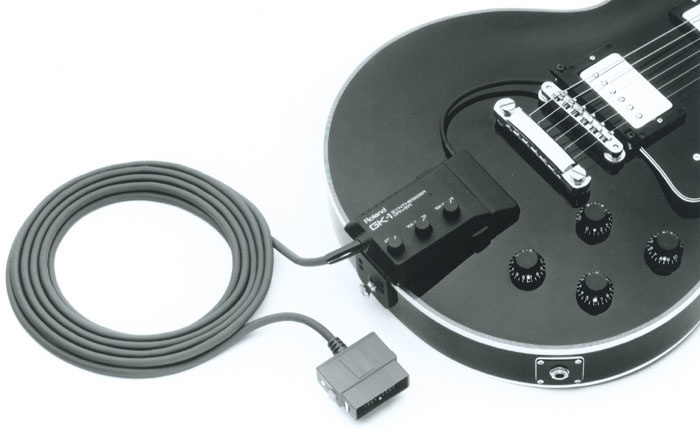 Likewise, the GR300 and GR700 were now long gone, but Roland had not forgotten their guitar synth customers, releasing the GK2, the guitar/MIDI pickup that remains a standard 15 years later. The GK2 appeared alongside the GR50, the first of Roland's digital guitar synth units. This used yet another implementation of the limited LA Synthesis found in the lesser D-series synths, to the extent that you could even use a PG10 programmer to edit it. Indeed, Roland were showing no signs of running out of ideas regarding the number of ways in which they could repackage their existing products. There was one, final, low-cost throw of the D-series dice in the form of the D5, but this is probably best forgotten. There was also a catalogue for 'computer sound modules and peripherals' that included the CM32L (a preset-only module based on the D110), as well as the CM32P (a preset-only module based on the U110) and, with stunning logic, the CM64, which integrated the two '32's into a single module. Borrowing from the E-series, the CA30 was an 'Intelligent Arranger' designed to complement the CM modules, while the CF10 and CN20 were designed to ease composition and mixing. Finally, there were two expansion cards, one of which was, in effect, an MT32 on a card. The CM64 repackaged LA-synthesis and U-series sound engines in a single compact module format, and was designed for use with early computer-based MIDI sequencing systems. 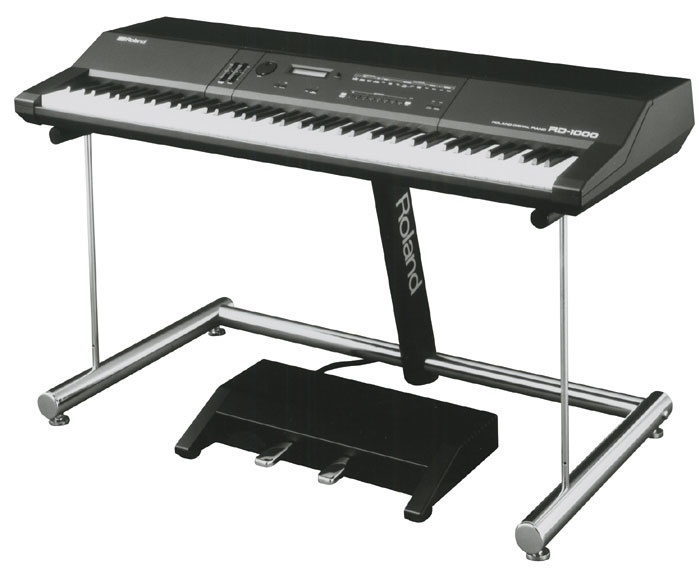 Following the purchase of the Rhodes name the previous year, 1989 was also the year that the company released the first two of only five Roland products that would bear the Rhodes name. It's unlikely that the company had ever intended to manufacture an electro-mechanical piano, but history suggests that — when Harold Rhodes found his name being sold for the fourth time — he had hoped that a large Japanese corporation would revitalise the market for his existing designs and ideas. Unfortunately, Roland and Rhodes did not see eye-to-eye, and legend has it that when Rhodes first heard the digital MK80, he 'just felt sick'. This was a cruel over-reaction, because the 88-note MK80 and its little brother the 64-note MK60 were fine instruments with excellent actions and SAS-generated electric piano sounds that are classics in their own right. Mind you, the public seems to agree with Rhodes, because neither instrument was the success that Roland might have hoped. The year is notable for one further reason: the establishment of the 'Edition Roland Corporation', or 'Edirol'. Originally proposed by Roland Italy, Edirol was created to satisfy the increasing demand for Desktop Media Production (DTMP) products such as audio and video editors. Kakehashi realised that these might require a different business model from that employed within his music businesses, so Edirol was initially kept separate from the rest of the Roland business structure. The company's first video system was an ISA-format video-capture board plus software, which allowed users to perform simple video editing on a PC. Called 'Video-Kun', this (like Musi-Kun the year before) never appeared outside Japan. Nonetheless, Edirol itself was soon to expand far beyond its native shores, and further Edirol companies were later established in tandem with Roland's joint ventures, with Edirol North America being established in 1994, Edirol Europe in 1998 and, most recently, Edirol Australia. In his autobiographical and philosophical book, I Believe In Music, Kakehashi recounts how, in 1976, he was asked to predict the future of electronic pianos. To much mirth, he suggested that electronic instruments would one day account for 50 percent of all the pianos sold annually. Given that Roland was the only manufacturer of such instruments in 1978, and given their then-lacklustre sounds and poor playing characteristics, this must have seemed ridiculous. Nevertheless, Kakehashi was correct, and Yamaha's Clavinovas and Roland's HP-series digital pianos started to make serious inroads into acoustic piano sales in the late 1980s. In 1989, just 13 years after his prediction, unit sales of electronic pianos overtook those of acoustic pianos. The significance of this cannot be overestimated, because these are the instruments that people choose to have in their living rooms. Digital music technology had truly arrived. Nowadays, the sales of digital pianos exceed those of acoustic pianos in both unit sales and earnings. M12E 12-channel mixer. M240R 24-channel rackmount mixer. M480 48-channel mixer. CL50 compressor/limiter. DR550 Dr Rhythm. EH2 enhancer. GE21, GE131A, GE215, GE231 graphic equalisers. LM2B bass limiter. NS50 noise suppressor. OS2 overdrive/distortion. PN2 tremolo/pan. RE1000 multi echo. RV1000 reverb. SE50 effects processor. EP5. HP2700. HP3700. KR100 'Intelligent' keyboard. R8M sound module. SPD8 percussion pad. S770 digital sampler. MO7 magneto-optical drive for S770. OMS770 memory expander for S770. RAS770 expansion memory board for the S770 sampler. MC50 Micro Composer. MRM500 MIDI file converter. MV30 Studio 'M' music production system. D70 Super LA synth. PC200 MIDI keyboard controller. PK5 dynamic MIDI pedal. Rhodes Model 660 RS PCM synth. Rhodes Model 760 RS PCM synth. 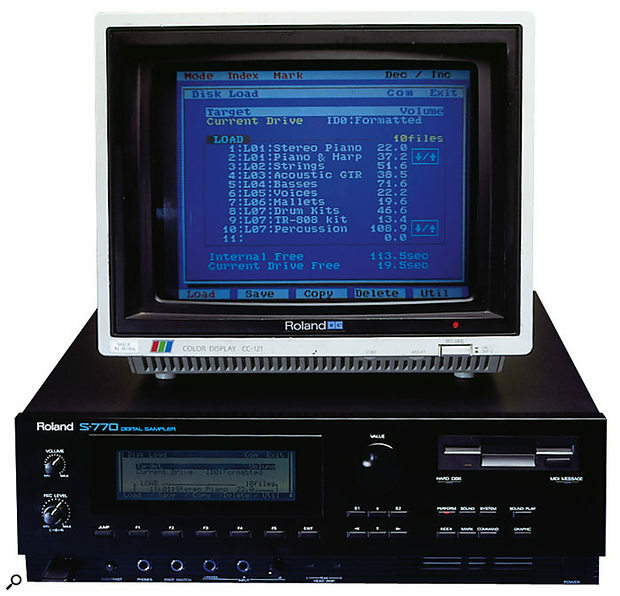 After the advances of the previous three years, it's fair to say that 1990 was quiet by comparison, although on the corporate side of things, the company opened two new facilities in Hamamatsu, set up a joint venture in Spain, invested in another company (this time in Hungary), and established the Roland Audio Development Corporation in the USA. However, few or no products broke new ground. Instead, there were further improvements upon existing concepts and technologies. The Boss range continued to grow, and even started to encroach on traditional Roland territory with a pair of rackmount reverb and delay processors... There were more mixers... There was a new Micro Composer, the natty MC50, and an improved arranger keyboard... There was a rackmount version of the R8, the R8M, and an Octapad that combined the pads themselves and a sound generator... There were two repackaged versions of the U20, the Rhodes Model 660 and the Rhodes Model 760... There was a Noise Eliminator that borrowed DSP technology from the E660 Equaliser and the GS6 guitar processor... There was also a range of new digital pianos that adopted a new 'Advanced' SAS system. As well as sounding better and introducing 'sympathetic resonance' for the first time on a synthesized piano, the new system also offered 'half-damping', all of which made the new models more realistic and more playable than previous instruments. However, among none of the above was there anything radically new. Nevertheless, buried among the repackaged technologies of 1990 were at least four products that merit special mention. The MV30 Studio M was an early example of a sequencing workstation, combining MC-style sequencing facilities with a U-series sample-based sound engine. The MV30 Music Production System was not, in essence, particularly innovative, because it merely combined sequencing and synthesis in a way that had by now become common. But its synthesizer engine was a version of the U20's RS PCM sound engine... with filters. This places the MV30 in the direct line of descent from the U110 to today's PCM synths. Elsewhere, the 'M' series of general-purpose and keyboard mixers deserved a footnote in history. There were two classes in the family: those with the letter 'E' as a suffix offered EQ and microphone inputs, while those without were line-level mixers with Aux busses but no onboard equalisation. Both classes came in tabletop and rackmount forms, with 12-, 16-, 24- and 48-channel configurations, so potential users had a huge range of options. Uninspiring though such products may seem today, the 'M's became very popular, and many can still be seen gracing small PA systems. In contrast to the useful but rather dull mixers, there was a great deal of excitement about the D70 Super LA synth. Advertised as the successor to the revered D50, this promised much, and featured a unique programming feature called DLM (Differential Loop Modulation) that, in principle, made some off-the-wall sounds possible. Unfortunately, DLM seemed capable of creating only harsh buzzes, and the D70 lacked the appeal of the D50. Had it achieved its potential, the D70 would have deserved a far greater mention than this, but it proved to be a 'nearly' synth: nearly a classic, and nearly successful. Nevertheless, I doubt that Roland's management were particularly concerned; in 1990, sales of D-series synths passed the 300,000 mark, almost certainly making them the most successful synths yet developed. The S770 was one of Roland's finest samplers, but its incompatibility with the Akai S-series sample format, which was fast becoming the industry standard, limited its appeal. Most impressive in 1990 was the S770, a 3U rackmount sampler that, nearly 15 years later, remains a superb instrument. It was 24-voice polyphonic, incorporated an internal hard disk drive, offered sample RAM that was expandable up to 16MB, had digital inputs and outputs, offered 20-bit A-D and D-A conversion, supported all the peripherals already launched, and was compatible with the existing S-series library. But it was not the S770's specification that held the two secrets of its excellence; these were rather more intangible. Firstly, there was the sample editing system, which was a hugely powerful and elegant synth in its own right, but which was overlooked by the public at large. Secondly, there was the audio quality. Thanks to a new reproduction method called Differential Interpolation, the S770 eliminated the grainy distortion that appeared when you played at low pitches on other manufacturers' samplers. Unfortunately, just as they had on the W30, Roland had missed a trick... once again, the S770's specification lacked the crucial words 'Akai' and 'compatible'. Had it been able to load and/or convert the Akai sample library, it might have gone on to become the new standard. But it didn't, so it didn't. AW2 auto-wah. BE5M multi-effects pedal. BL1 bulk librarian. CE5 chorus/ensemble. EH50 stereo enhancer. FV300H and FV300L expression pedals. FW3 foot wah. LS2 line selector. MT2 Metal Zone. PQ4 parametric EQ. ADA8024 RSS A-D-A converter. RSP550 stereo signal processor. RSS8048 RSS sound space processor. SSC8004 RSS sound space controller. SB55 Sound Brush (SMF Sequencer). SC55 Sound Canvas. A220 MIDI separator. JD800 programmable synth. JX1 performance synth. SBX1000 MIDI cueing box. If 1990 had been a relatively unsuccessful year in terms of groundbreaking product launches, 1991 was to be its antithesis, with three products of long-term consequence. One was a synthesizer, one was a sound module, and the other was an effects unit. Let's start with the synth... 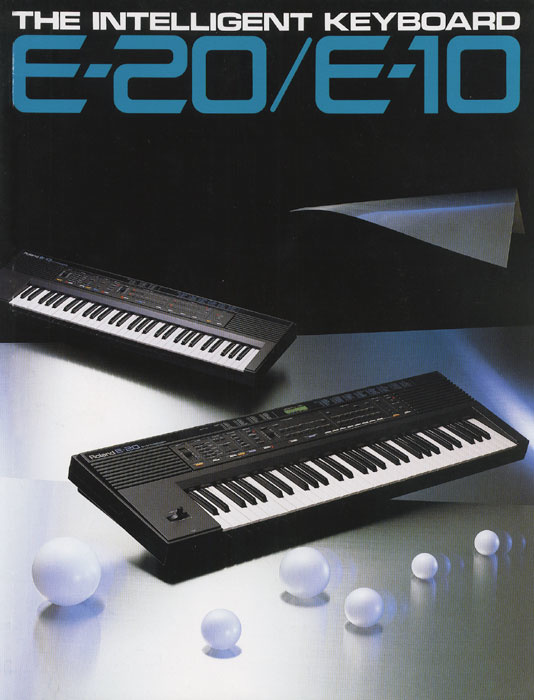 It can't have escaped Roland's notice that its brief market leadership in 1987 had been eclipsed by the Korg M1 and its T-series successors, and that the D20, W30 and D70 had singularly failed to wrest the crown from their competitor's grasp. But when somebody in Roland leaked the news of a new digital synthesizer sporting a large, analogue-style control surface, everybody raised an eyebrow (or two). What's more, rumours suggested that it might be called the JD8, which many assumed meant 'Jupiter Digital'. Was this going to be Roland's long anticipated successor to the Jupiter 8? Into the '90s! The JD800 was a decisive break with the plain, 'one data wheel and a two-line LCD' design of Roland's late-'80s synths, and its slider-tastic control surface means it's still popular today. When it appeared, the JD800 appeared to be what everyone had hoped; a state-of-the-art digital synth with the appearance and feel of a top-of-the-line analogue polysynth. Many of the controls also had their roots deep in the past, having first appeared on the PG800 programmer for the JX8P, but the bright orange LEDs, the dual displays, and the large, knobbly buttons were quite startling, and made the instrument feel very modern. The sound source drew upon 108 PCM waveforms including the conventional cyclic waveforms (often used with a touch of 'random pitch' to imitate analogue instabilities), samples, and attack snippets reminiscent of the D50's LA synthesis. Filtering came in not one but three forms, with low-, high- and band-pass modes, all with resonance, while Roland's multi-stage contour generators provided as much flexibility as most programmers would ever require. Likewise, the multiple effects structure, which offered things such as distortion and phasers as well as the usual chorus and reverb, extended the JD800 far beyond Roland's previous fare. At first sight, the JD800 was 24-voice polyphonic, but once you layered tones to create its more complex and interesting sounds, the polyphony could drop as low as six notes, which was not impressive, even in 1991. This also made the JD800 of limited use as a multitimbral instrument, as did the limited onboard storage of just 64 patches and a single multitimbral setup. More impressive was the fact that you could assign the onboard effects slightly differently to the patches in multitimbral mode. 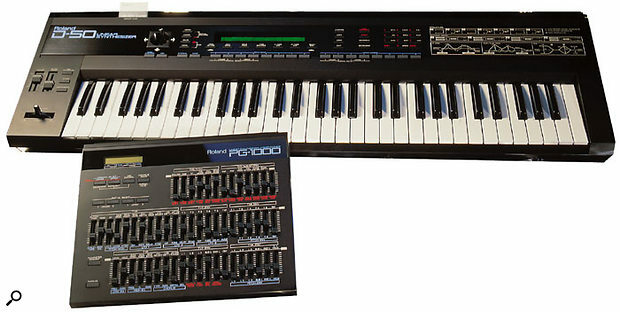 With its large, friendly panel, impressive programming depth and warm sounds, the JD800 might have dominated the market had it been launched a year or two before, but it arrived just as Korg released the similarly-priced 01/WFD workstation and the Wavestation, both of which proved to be more popular. Nonetheless, it's the JD800 that still turns heads in the 21st century. Despite the sexiness of the JD800, the product that was to have the greatest legacy, both financially and in shaping the future of the music industry, was neither large nor exciting, nor did it sound particularly impressive. Yet, in introducing General MIDI (GM) and General Standard MIDI (GS), the SC55 Sound Canvas made it possible for programmers to create MIDI sequences that could be replayed predictably on products produced by any manufacturer, not just Roland. This was a huge leap forward, and nowadays the descendents of the SC55 dominate many sectors of the music industry (see the box below). Yet had it not been for the future impact of GM and GS, an effects unit would have earned the accolade of 'milestone product' for 1991... Roland's RSS was an innovative attempt at producing surround-sound effects using psychoacoustic principles in conventional stereo, rather than with multiple discrete channels and speakers as is the case today, but this meant that the efficacy (or otherwise...) of the effect varied from individual to individual, dependent on their hearing. Roland had been using the acronym 'RSS' since 1978 to stand for Roland Studio System but, in 1991, this changed to Roland Sound Space, a system that (the company claimed) made it possible to create a three-dimensional sound-space using conventional stereo speakers. In theory, this meant that you could position a mono sound anywhere in a three-dimensional space around the listener. The product launch was atypically high-key for Roland. Having traditionally exhibited at music industry shows such as the Frankfurt Musikmesse and NAMM, the company stepped into the audio engineering arena by exhibiting at the Audio Engineering Society (AES) Convention, building a soundproof booth to demonstrate the sound-space that RSS could wring from a conventional stereo system. A standard RSS system was neither small nor cheap, comprising four units: a pair of 2U-rack ADA8024 analogue-digital-analogue converters, the 2U rackmount RSS8048 Sound Space Processor, and the large, tabletop SSC8804 Sound Space Controller. Larger systems could comprise up to 16 processors! The processor was the key to the system, combining a simulation of binaural processing (in which a performance is recorded using microphones mounted inside a dummy head) and something that Roland christened 'transaural' processing, a phase- and amplitude-manipulation process designed to overcome the limitations of binaural playback. All of this was controlled by the RSS8048 (the large unit shown below), whose large rotary controls could, so Roland claimed, position a sound above or below the listener, in front or behind, and to the left or the right. RSS was a brave attempt to create an ambience processor that made a 3D 'theatre' experience possible using a stereo playback system. Unfortunately, many people were unconvinced, myself among them. I attended one of the AES demonstrations in 1991, and despite being told that I was hearing the sound coming from above me or behind me, I didn't. The effect was interesting, but it didn't live up to its grandiose claims, and Roland sold very few of its first-generation RSS systems. Nevertheless, the audio-processing algorithms showed promise, and would soon start to appear in the company's effects units and synths. The SC55 was far from impressive, but it had a huge impact upon Roland's fortunes — an impact that continues in full force to this day. At first sight, (and second, and third...) there was nothing special about it. Sure, it used both RS PCM and the cut-down version of LA synthesis, came with a neat little remote control, and its complement of 315 patches, nine drum kits, 16-part multitimbrality and 24-voice polyphony was reasonable for the day. However, its limited editing capabilities precluded it from professional use, and placed it firmly in the 'home' music market. The first of the now-enormous Sound Canvas range, the SC55. So what made it important? The answer lay in the way that its patches were arranged and the ways in which these could be modified, which conformed to a new MIDI standard that the world called GM (General MIDI) and which Roland later extended to include additional commands and called GS, or 'General Standard'. Of course, this would have been meaningless had the SC55 been the only instrument to use GM or GS but, right from the start, the company promised a range of compatible products that would use the same memory and edit maps. These would then be able to replay sequences correctly, no matter which you used, without having to move patches, modify MIDI receive channels, or change levels. It was a radical concept in 1991, and paved the way for the scores of GM- and GS-compatible products that have since appeared. The SC55 was launched alongside a sequence replay module called the SB55 Sound Brush. Designed as an 'on-the-road' device that let users leave their computers in their studios, this was compatible with Standard MIDI Files, which meant that it could load and play songs originally saved from Atari, Mac, PC, and MC-series sequencers. It was also capable of loading one song while playing another, which made it ideal for use on stage. The combination of the SB55 and SC55 redefined the art of song playback, allowing solo artists to perform with a full backing band that occupied just a single rack space. The '55s' also changed the face of karaoke forever, allowing performers to alter the pitch and tempo of backing tracks independently, which would have been impossible using tape- and CD-based karaoke machines. Promoted to Chairman of the Roland Group, Ikutaro Kakehashi had achieved many of his aims by the end of 1991. With multiple manufacturing companies, including Roland, Boss, Rodgers and Roland DG, the Rhodes brand name, and around 20 jointly held distribution companies, his position was secure as one of the all-time great pioneers of the synth and hi-tech music industry. He had even been awarded an honourary Doctorate in 1991 by the world-renowned Berklee College of Music. However, Kakehashi could see that the digital revolution was not going to be limited to synths, samplers and effects units, and that the separate businesses of making music and recording music were soon going to meet head-on. His great rivals, Akai and Korg, were already developing high-value, high-technology studio systems and, although the public knew nothing about it at the time, Roland were not far behind. Clearly, 1992 was going to be a significant year for the hi-tech music industry, and that's where we'll pick up this story in Part 4.